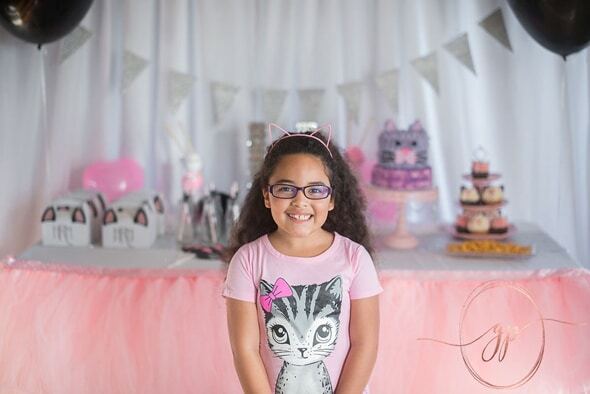 How much fun would this Cat Themed Birthday Party be for any lucky little girl? 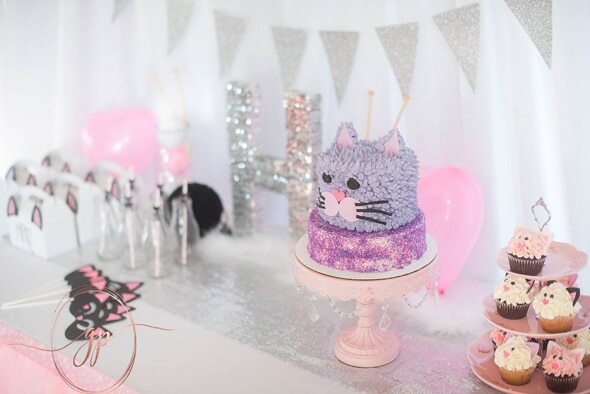 We love the glam vibes from this fresh cat theme! 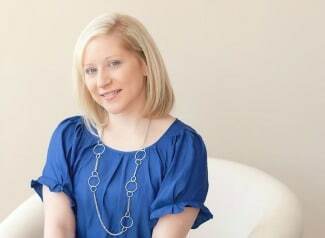 The color scheme was simple with black, white and pink. But how spectacular! The Glitter Party couldn’t resist adding in some sequins and glitter, which totally make the party pop! 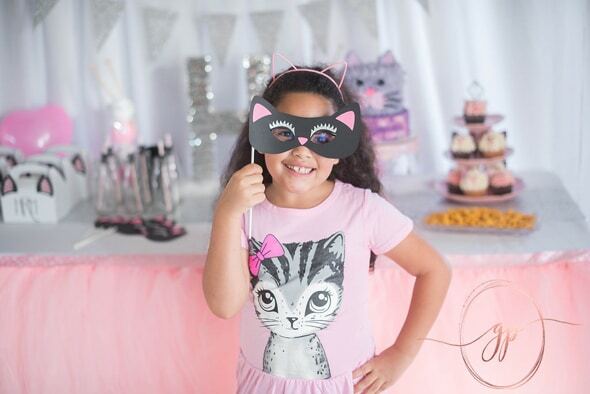 DIY projects were all the rage for this fun Cat Themed Birthday Party, which we just love! 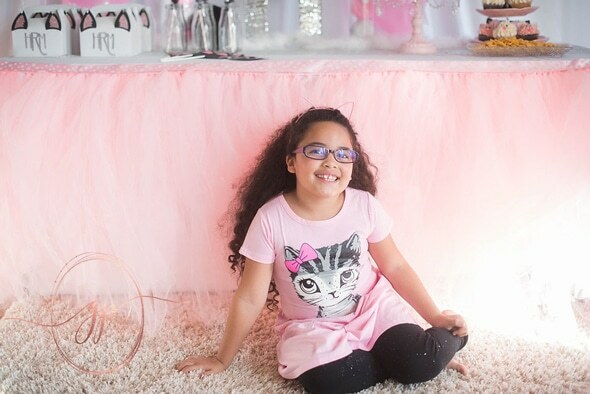 Here is the DIY for making the tutu table skirts. They absolutely transformed the dessert table! 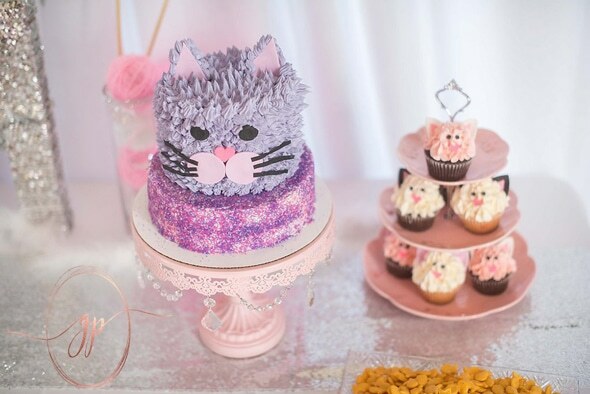 How could you have a Cat Themed Birthday Party without a cat cake?! 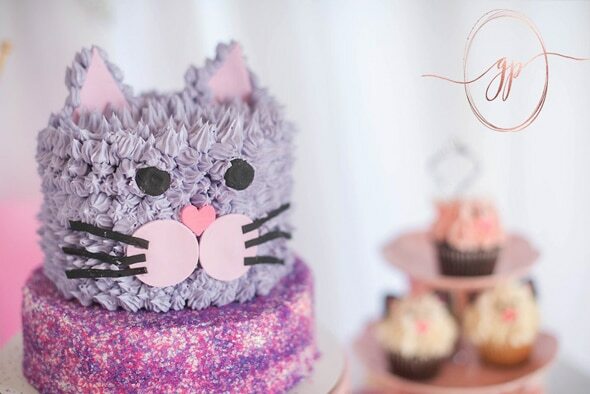 Tiffany’s Cake Cakes created the gorgeous cat cake and cupcakes. Yum! 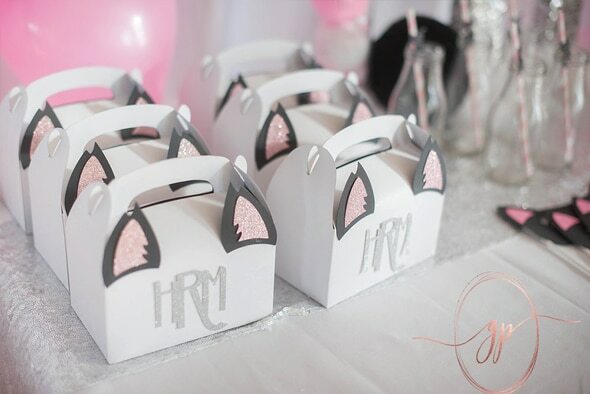 We just love the adorable favor boxes that The Glitter Party customized. They are perfect! 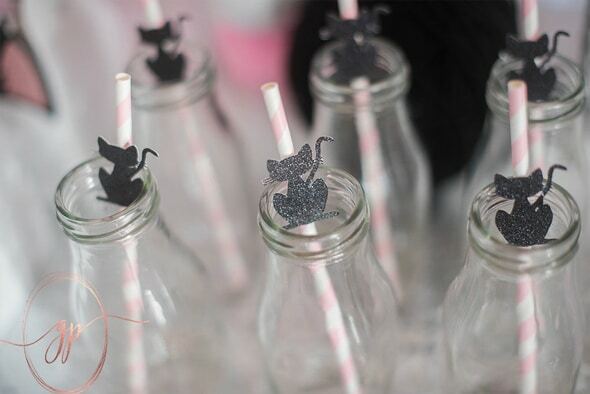 Custom cat straws, along with milk bottles (duh!) were used. Talk about perfect compliments for a cat party! 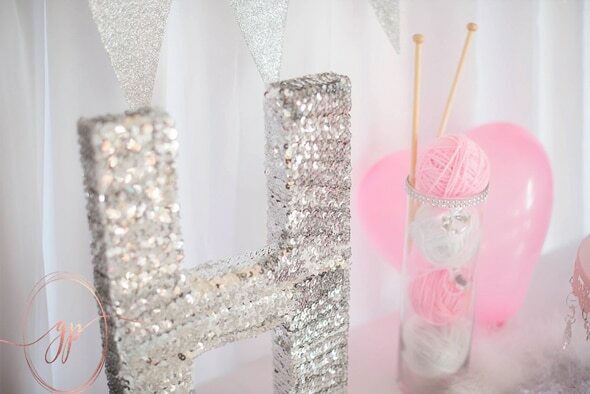 This giant sequined letter “H” added to the glam! Check out the tutorial HERE. 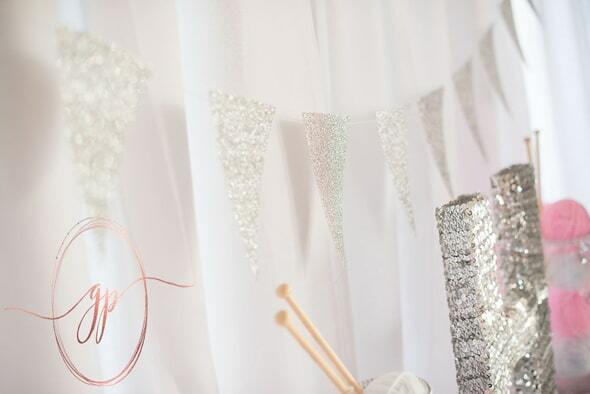 This glitter bunting banner was another DIY from The Glitter Party. Exquisite! 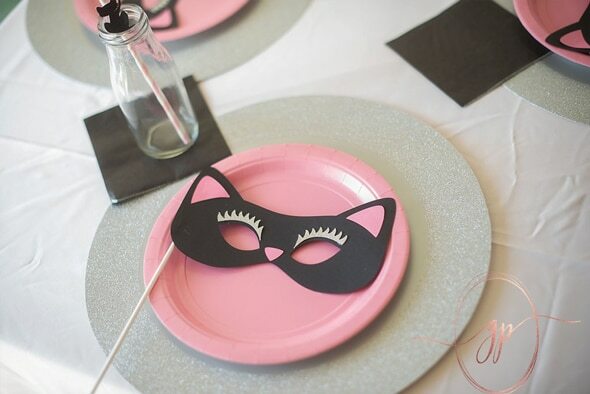 And finally, the fun custom kitty masks that all of the party guests had fun wearing! What a great way to add fun to a party! 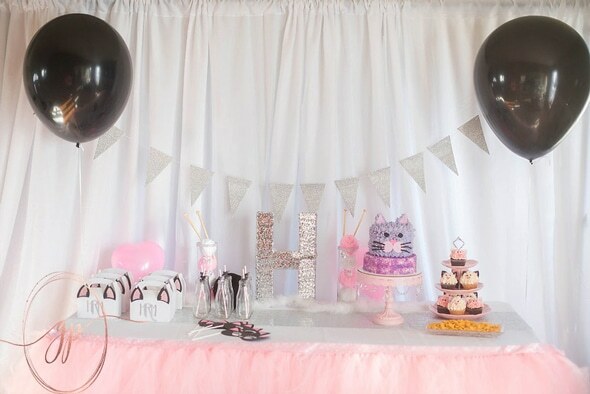 Now that’s how you throw a perfect Cat Themed Birthday Party. Absolute perfection! 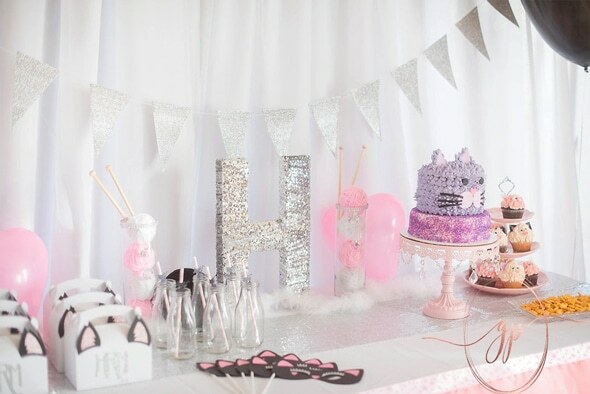 Shop this party from The Glitter Party on Etsy!